Moving home in Earls Court area? Casey’s Removals & Storage supplies a local and friendly professional service in the Earls Court and nearby areas. 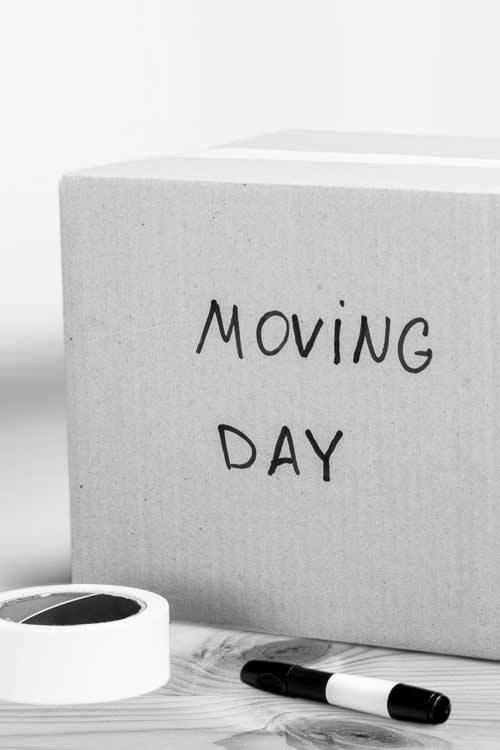 We are fully aware that moving home can be a very stressful experience, whether you’re moving flat or house locally, the opposite side of the UK, or possibly even you are emigrating to Europe or further afield. Our highly experienced movers will help to make your move or relocation as effortless as possible. The removal service that we provide is equally efficient, affordable and convenient. You can trust our packers and movers to pack your furniture and personal belongings safely whilst offering a well-managed, problem-free move. As well as a moving service, we also offer safe and secure storage and other ancillary services such as furniture hoist hire. From our 14 years of experience, we would highly recommend option 2 – have one of our estimators pay a visit. Why you may ask? Because over those years we have found that not only do they produce a far more accurate quote (they are physically at your home seeing what you need to move) but you can discuss you specific needs and requirements. Should you work and find daytime visits inconvenient, we can arrange a more convenient time that suits you. That may be weekend or evening appointment. Just call our friendly staff on 020 8780 2348 to book your FREE moving quote. You have nothing to loose except 20 minutes of your time! I used Caseys Removals in Janiary to move from my rental to my new home. They were brilliant, on time and professional. Friendly, very helpful and made everything go smoothly and calmly. Would highly recommend. We realise that one of the most troublesome parts of a house move can be that of packing your possessions – from your clothes to books, kitchenware to stuff in your loft, garage or shed! That’s why we provide a comprehensive range of packing and unpacking services to meet your specific requirements. Our fully trained packing staff are experts in specialised packing methods. All of our packing materials are made from the best quality materials and are specially designed to protect your items during your move and transportation. 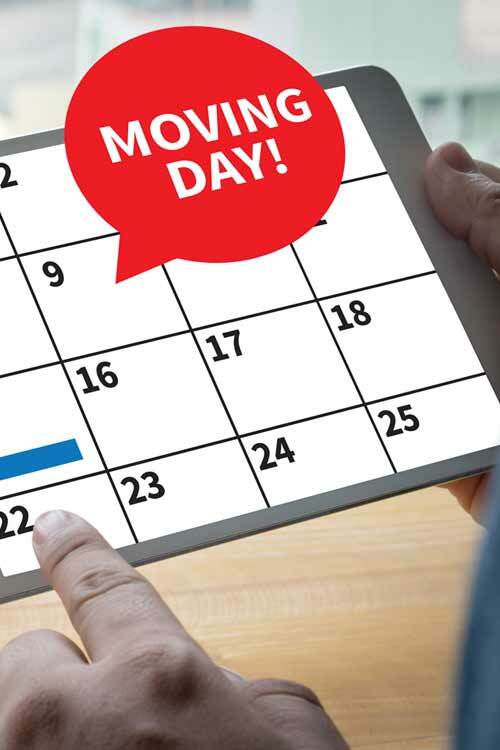 Our Full Packing Service saves you time and effort allowing you to concentrate other matters to do with your move. We will pack up everything throughout your home taking special care of all your more delicate items. If needed, we can also take care of the unpacking at your new home – just ask our customer service team. Our Partial Packing Service, sometimes known as a “Fragile Pack” is where we pack breakables such as china, glass, ornaments, lamps, photo frames and you pack all the non-breakables such as books, toys, pans tools, clothing, linen etc. Storage is often required as part of a home removal package. It is not always possible to move straight from one property to another due to the complexities of the house moving process. 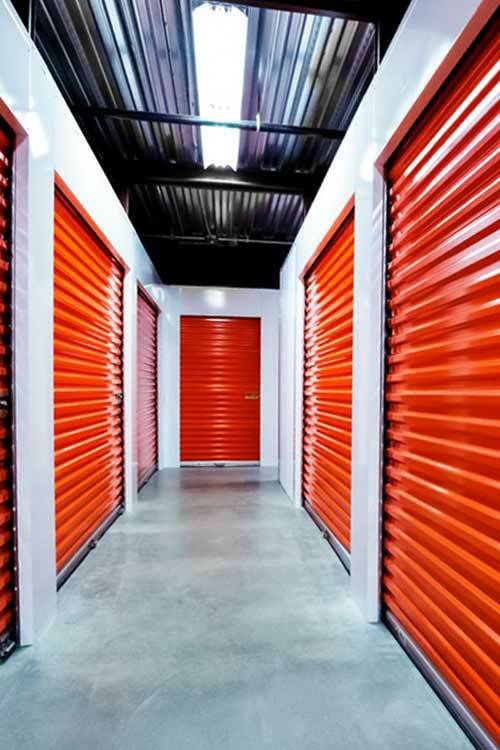 Of course you don’t have to be moving home to require storage and there are numerous reasons why you may need storage. Short-term storage is suitable when you need to store your household furniture and possessions for a short period of time. This can be especially helpful when it comes people how are moving to a brand new house or flat but may find that there is period of time between moving from their old house to their new one. In these cases they may have to store their belongings and live in rented accommodation until they move into their new home. Another great example of using short-term storage is for when you are either decorating or remodelling your home. Long-term storage can, for example, benefit many people that are moving abroad as a consequence being relocated overseas for a fixed period of time. Long-term storage can also benefit people who are downsizing their property but do not have the space in their smaller home and don’t want to get part with their belongings. Moving a piano is actually no simple task – it can be more complicated than a normal home move. For this reason piano moves ought to always be left in the hands of the professionals and this is exactly where Casey’s Removals are able to help you. We offer a completely insured solution that gives you total peace of mind when it comes to moving your piano. 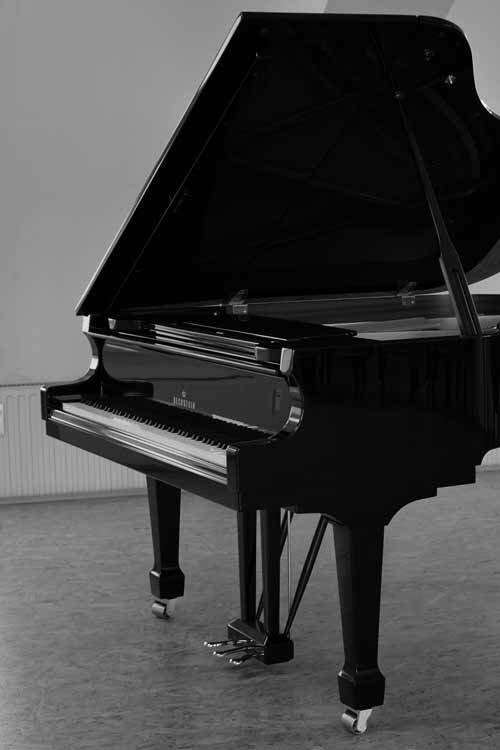 Whether an Upright, Grand or Baby piano, we have been moving pianos for over 14 years in Earls Court, and all areas throughout London, Surrey and Kent. It is only natural that you might perhaps feel worried when having your prized piano moved. You can rest assured that it be will be in safe hands with Casey’s Removals. Our team will take the utmost care and will certainly provide you with a totally reliable and efficient piano removal service. If you are seeking piano movers or piano storage in or near the Earls Court area, you will find our prices competitive. Contact us right now to get a free quotation on your piano move across London, Surrey, Kent and the surrounding Home Counties areas. You can call our friendly team on 020 8780 2348. Residential properties are becoming much smaller. The doorways are narrower, hallways are narrower – in fact everything is narrower. As more and more people live in flats and apartments it is increasingly tricky to have delivered or removed large and heavy furniture or items, such as king sized beds, sideboards and kitchen appliances. This is where our Furniture Platform Hoist can easily solve your problem. Either by hoisting the items over a balcony or through a window. It is able to lift a maximum of 400kg in one lift and rise up to 24m. We not only help residential customers, but also many businesses customers that require getting often heavy items to an apartment on the second floor or higher. 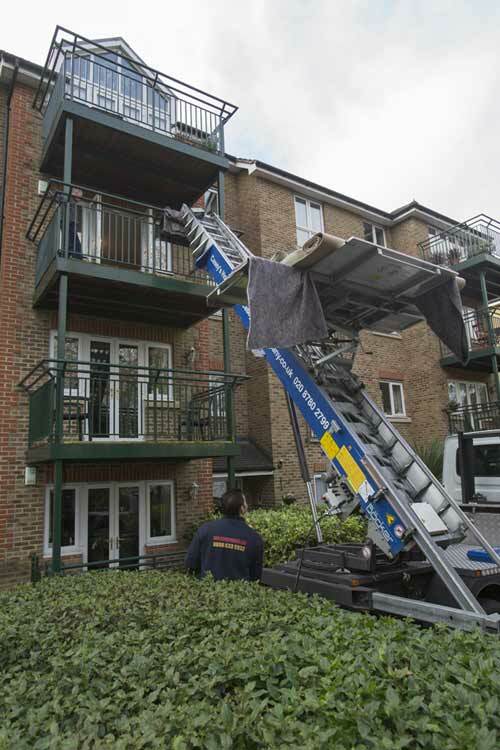 Do You Need To Rent a Furniture Hoist in the Earls Court area? You might be struggling to squeeze that 4 seater couch or super King size bed up the stairs or through that narrow doorway, taking delivery of a nice new Range Cooker or even trying to get rid of that unwanted piano. No matter what you try there is no apparent safe and easy way to get the job done without the use of our Furniture Platform Hoist. This will certainly save on time, money and effort. Phone our team today on 020 8780 2348 for a quote or for more information. Require a Professional and Reliable Removal Company near Earls Court ? Whether you are moving home, in need of storage, need a piano moved or just need help getting that sofa over a balcony and you live in or near the Earls Court area, Casey’s Removals is here to help you. Call us today on 020 8780 2348 for a FREE home removals quote. We’re on-hand to help from 8:30am to 9pm, 7 days-a-week, irrespective how big or small your challenge or enquiry might appear! For more information about Earls Court removals click the link to learn more.